Welp, let's talk about a gorgeous green. 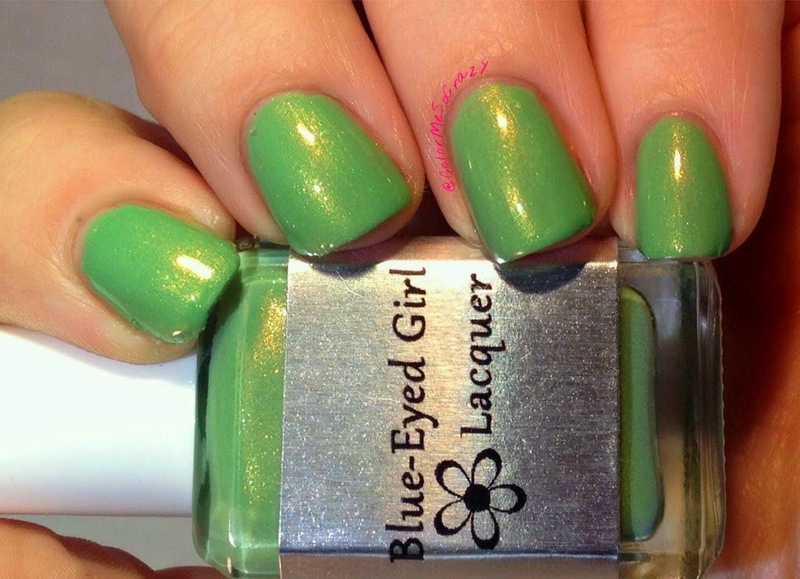 I do not like the color green, but Blue Eyed Girl Lacquer makes a goooorgeous one! She recently had a naming contest for her St. Patricks Day color and I won! 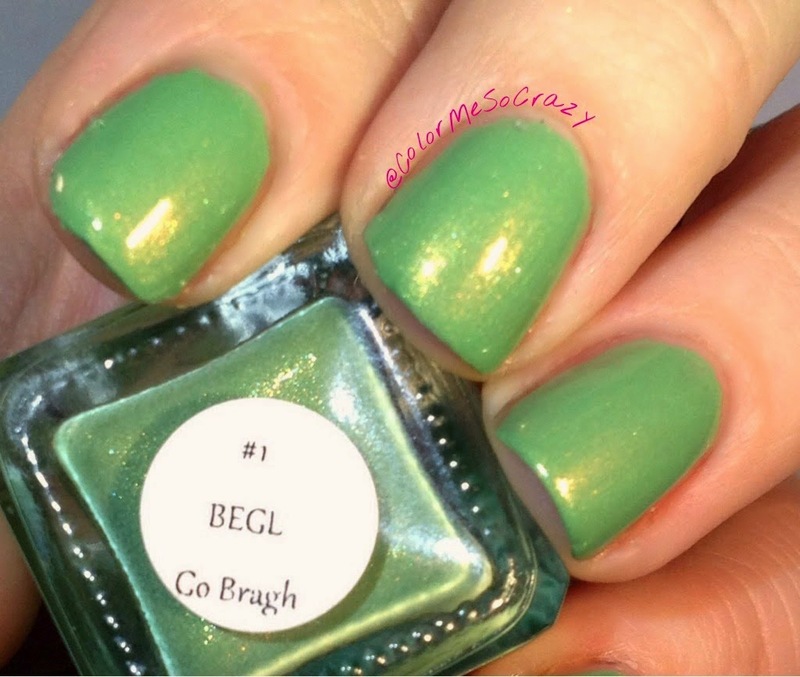 I named is BEGL Go Bragh. Love it? I did! 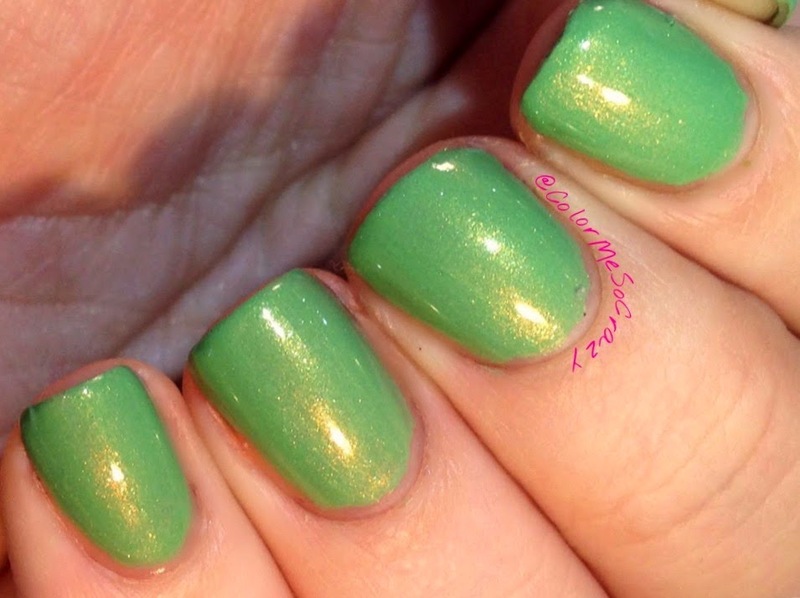 This is a beautiful green creme with a orangeish shift. The color is so delicate and great. 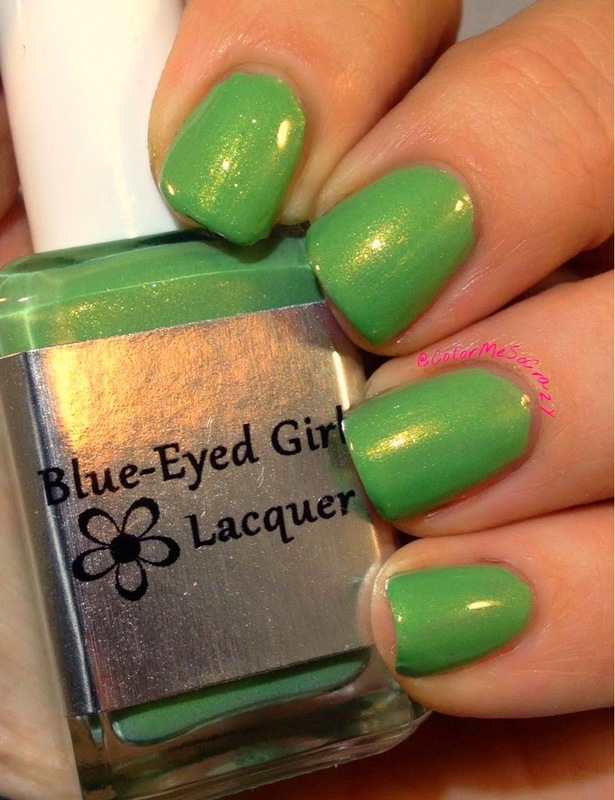 It is not a harsh green and looks great with my skin tone. I own several BEGL and I love them all. The formula is excellent them. I actually have the first four colors she ever made. I won them waaaay back when before she started selling them in her shop. Still in fantastic shape. I tried to show the shimmer shift here, but I failed. lol. It shows better in the picture below, but you can still see the shimmer in this polish. 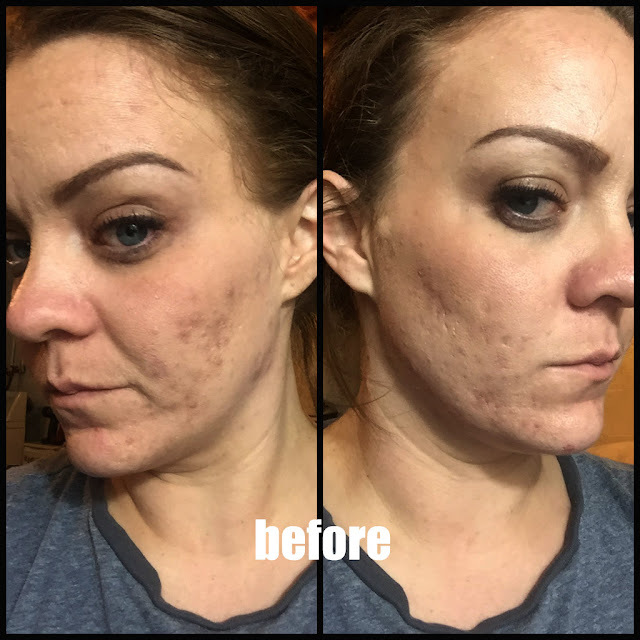 It goes on so smooth. Literally like butter. Yes-- and there is more. I seriously cannot get enough of this polish. May your pockets be heavy and your heart be light, may good luck pursue you each morning and night. 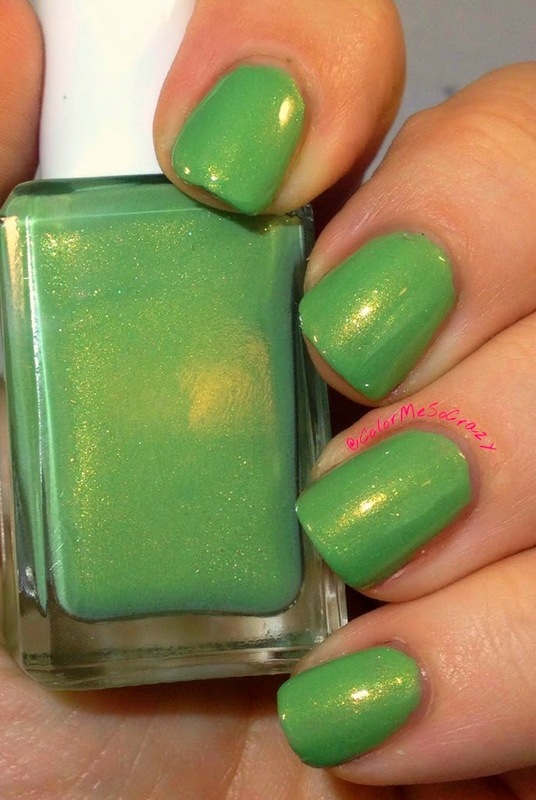 I even used this as a base in my St. Patricks Day design that will post later today. It will come on around 1pm today. Showing off my swag!! I have the first bottle of this!! Love it! 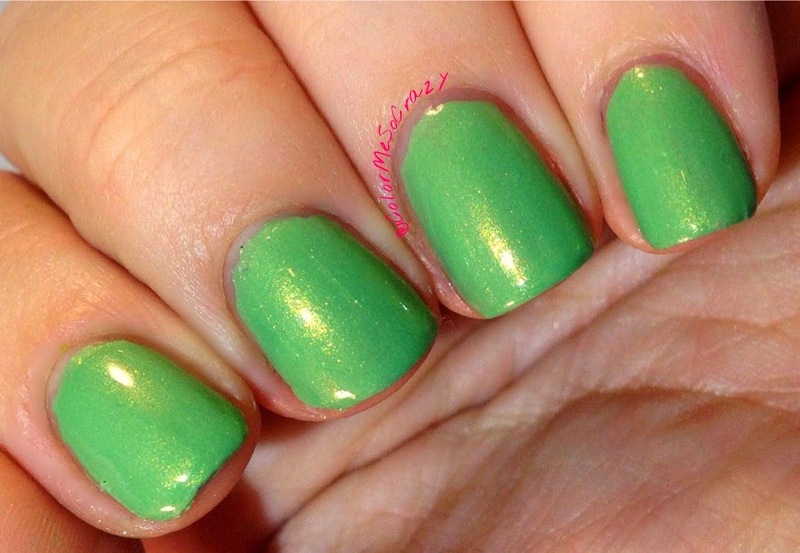 I hope you enjoyed this polish and get ready for the St. Patrick's Day ride I am about to bring you on today. I have a fantastic skittle design, tutorials and just some all around green! !